Like other parts of the world, Singapore retailers are not immune to major shifts in consumer behaviours that have seen new market forces such as e-commerce, 24-hour access and a more discerning class of digitally-savvy natives with increasing spending power. This is prompting brands to consider new ways in which to compel shoppers to engage with them off-line. And it cannot be done without the proper use of technology to drive experiences, this according to Dan Paris, regional business director at TBWA Group Asia Pacific. 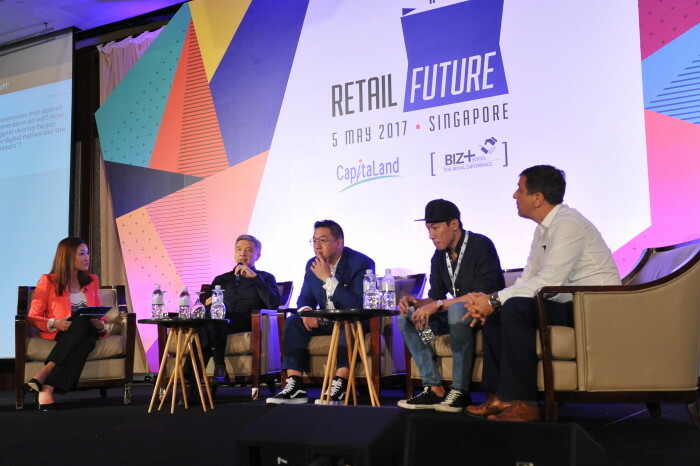 Speaking at Retail Future 2017: Capturing the Millennial Dollar – part of CapitaLand’s Biz+ Series which looks to bring together leaders and experts in the retail industry to share insights and latest trends with retailers, Paris challenged the full-capacity room of retailers to think about what they could do to disrupt their category, particularly when it comes to targeting Millennials. One way to put the excitement and life back into the retail sector is through entertainment, said members of a panel at Retail Future, who joined Paris on stage to further discuss the issue of driving 21st Century experiences. Today, they said, an amalgamation of entertainment and retail has paved way for a popular marketing concept called ‘retailtainment’. Entertainment is the complementary component which has recently boosted traffic in the existing retail models. As such, over a period of time, a number of brands and retailers alike are fast embracing this new phenomenon. Stuart Wee, co-founder of ANDSOFORTH which creates interactive and immersive theatrical dining experiences, said that Millennials have a shorter attention span and as such “get bored very easily”. Hence to capture their attention brand engagement is a must. Millennials are hungry for individuality and they are prepared to hunt for it. But this experience comes at a cost. Wee explained that to create these experiences, brands need to develop the appropriate content to reach out to customers. “While it is important to analyse the content that connects with the audience, it costs a significant amount of money. Therefore, retailers need to look into the investment space and figure out their marketing plan which will create the desired brand experience,” he said. Wee added that novelty wears off fast and therefore brands need to be relevant to keep up with evolving retail space. Similarly, Dennis Tay, founder of Naiise, agreed that retailtainment engages customers in an immersive story telling brand experience with the help of compelling content. He however said that such creations may not necessarily be expensive. Undoubtedly, creation of such an experience comes with its own set of challenges such as space constraints and staying relevant with your target audience. Wilson Tan, deputy CEO, CapitaLand Mall Asia, said retailtainment is not just about entertaining customers. It is about reaching out to new customers and converting them into a transaction. While the result may not be immediate, the key is to developing a relationship which may convert into a transaction at a later stage. “We are prepared to push the boundaries and limits. If you have a great idea, reach out to us and we will try to accommodate it in the existing model. We need to turn the retail magic on to break barriers and the key is experience,” he said. The Association of Accredited Advertising Agents Singapore(4As) has appointed MEC's Connie Chan (pictured) as its new president, f..